Are you a fan of The Big Bang Theory? If so, then you guys may be getting an official LEGO set in the near future. 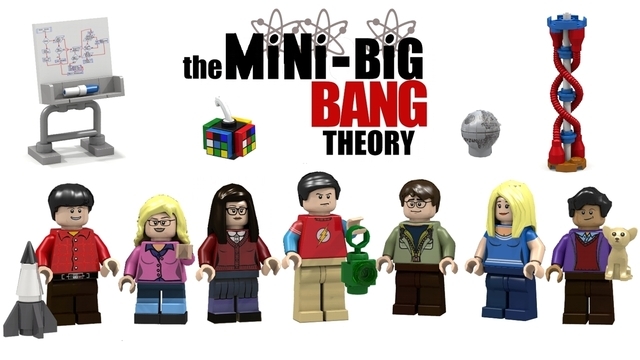 The reason is because The Big Bang Theory collaborative project by Alatariel and GlenBricker has achieved 10,000 supporters on LEGO CUUSOO. If Alatariel’s name sounds familiar, that is because they are the same person who created the Female Minifigure Set which also hit 10,000 supporters back in last June. That project is still being evaluated. 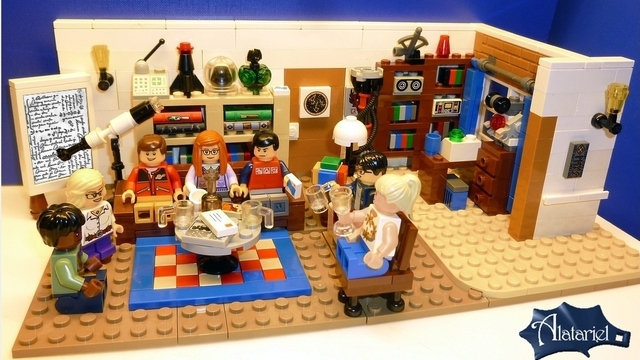 The BBT project represents Sheldon Cooper and Leonard Hofstadter’s living room and also includes the whole gang including Howard, Bernadette, Amy, Penny, and Rajesh with Cinnamon. The living room has various details such as the Green Lantern’s lantern, the Rubik’s cube tissue box, a model of DNA, and a mini LEGO Death Star. The reason that this project has achieved the number of supporters needed is the fan base and because it’s been blogged by a number of high profile sites. Even the official Twitter account of The Big Bang Theory has tweeted about the project. It now joins the LEGO Bird Project, the Modular Apple Store, the BTTF – Jules Verne Train, as well as the Doctor Who project, which hit 10k two days ago, in the first review stage in early May. Congratulations to Alatariel and GlenBricker for this achievement and it looks to be a very intereesting review in a few months. Believe in magic, you muggles! 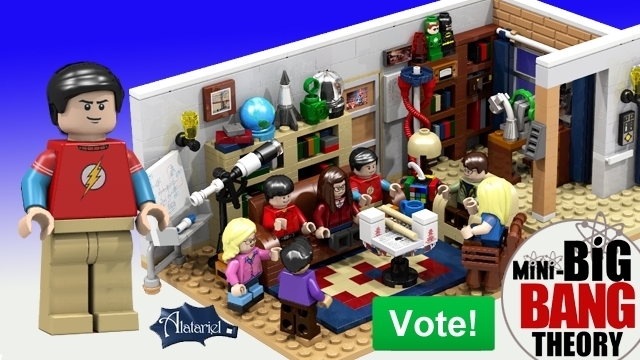 Congratulations on 10,000 supporters, Alatariel and GlenBricker! Thanks to the support of Big Bang Theory fans around the world, you’ve reached 10,000 supporters. You’ve done your experiments, now we’ll do ours. The review is a thorough process and from its start, and can take several months. When finished, we make a “go/no go” decision to develop and sell a product based on the Big Bang Theory concept.